­"There is a bill prepared in the National Security and Foreign Policy committee of Parliament that stresses the blocking of oil tanker traffic carrying oil to countries that have sanctioned Iran," Iranian MP Ibrahim Agha-Mohammadi told reporters. Iran's threats to block the waterway through which about 17 million barrels a day sailed in 2011 have grown in the past year as US and European sanctions aimed at starving Tehran of funds for its nuclear programme have tightened. The Strait of Hormuz is a vital shipping route through which most of the crude exported from Saudi Arabia, the United Arab Emirates, Kuwait and Iraq and nearly all the gas exported from Qatar sails. An EU ban on Iranian oil imports came into effect on Sunday. 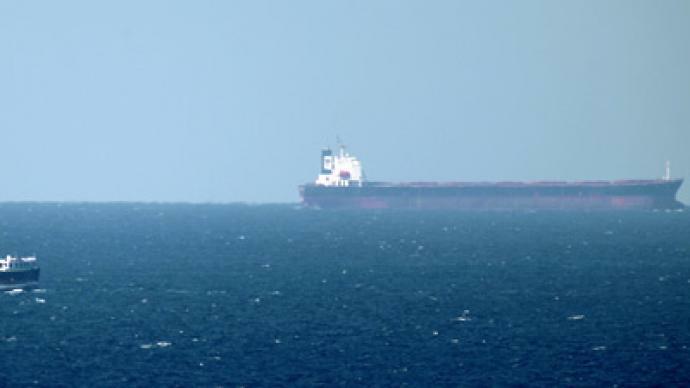 Investigative journalist and historian Gareth Porter believes the bill’s introduction is a step in a series of actions that Iran can take to hamper oil shipments through the Strait of Hormuz, causing oil prices to skyrocket. 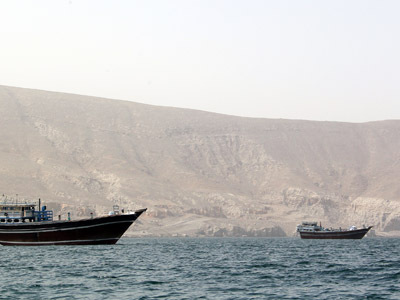 The US Energy Information Administration, a statistical and analytical agency within the Department of Energy, said the Strait of Hormuz was the world’s “most important oil transit chokepoint,” with a daily flow of 17 million barrels per day in 2011. This constitutes roughly 35 per cent of all seaborne traded oil, or 20 per cent of all oil traded worldwide, according to the agency. The agency also estimates that an average 14 oil tankers passed through the strait every day last year, with a corresponding number of empty tankers entering the Persian Gulf to pick up new shipments. Over 85 per cent of the oil tankers passing through the strait were heading to destinations in East Asia, the majority of these going to China, India, South Korea and Japan. 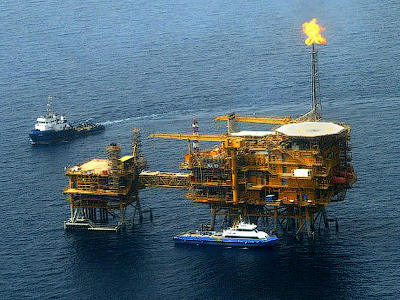 Concerns over the Strait of Hormuz’s shutdown have prompted a number of Arab nations to seek alternative for its oil exports. The United Arab Emirates recently unveiled the Habshan-Fujairah pipeline with a terminal in Fujairah, which is situated on the Gulf of Oman coastline past the Strait of Hormuz. The pipeline has a capacity of about 1.5 million barrels per day, still short of the UAE’s total oil production of 2.5 million barrels a day. Iraqi officials recently announced plans to construct a pipeline to Turkey’s Mediterranean port of Ceyhan, allowing it to bypass the gulf altogether. The Saudi Arabian East-West pipeline linking the Persian Gulf and the Red Sea is also being mulled as part of a possible bypass. However, that pipeline has a capacity of up to 5 million barrels a day, less than half the daily oil flow through the Strait of Hormuz. 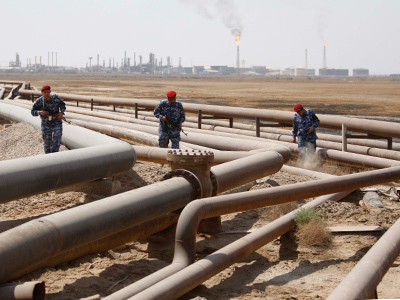 Saudi Arabia also recently reactivated the Iraqi Pipeline in Saudi Arabia, which also transports oil to the Red Sea, but has a comparatively meager capacity of 1.65 million barrels a day. Transporting oil to the Mediterranean and Red Seas still raises the question of how it would reach its Asian clients. 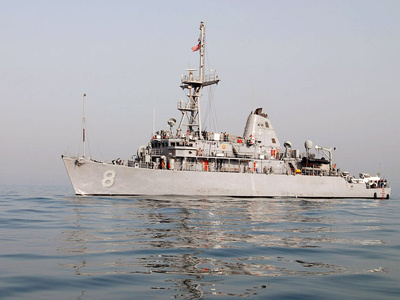 The shortest route appears to be through the congested Suez Canal, via the Red Sea and into the Gulf of Aden, an area prone to attacks by Somali pirates. However, the question of how to bypass the strait appears to concern not only US allies, but Iran itself. The country recently announced plans to build a new terminal in Bandar Jask, 100 miles east of the strait. A pipeline is also set to connect Bandar Jask with the Caspian port of Neka.